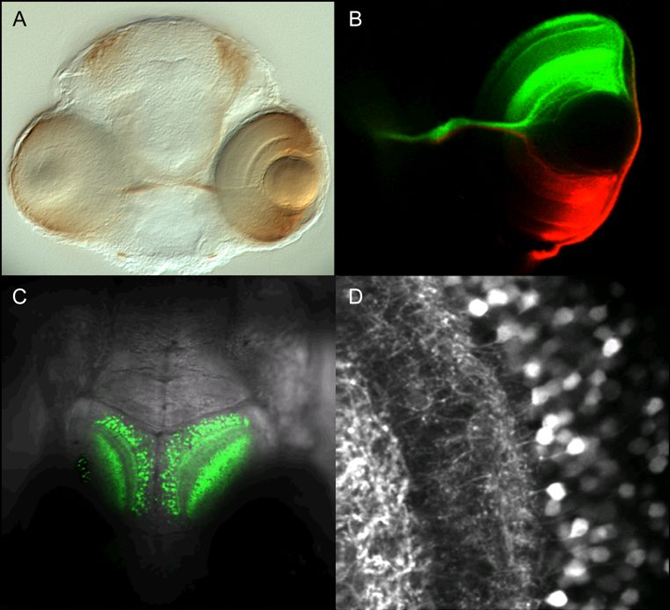 Imaging structure and function in the zebrafish visual system (A) Eye and retino-tectal projection. (B) Retina, labeled with different fluorescent indicators. (C) GFP expression in optic tectum. (D) Fine structure of tectal lamination.